Should You Use Home Equity to Invest in Your Next Home? 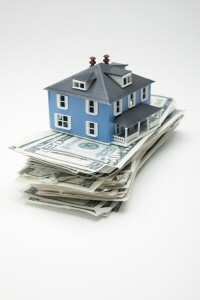 - Residential Title & Escrow Co.
Should you dip into your home equity? When thinking about buying a new home, you may be tempted to use your home equity. After all, it’s a highly valuable asset that can be used in a variety of ways from retirement funding to home improvement. It can also be used as a way to finance your next house. What is home equity and how does it work? Home equity is the portion of your home that you actually own. At the beginning of owning your home, you will own anywhere from 10% to 20% of the value of the home. Any part of the home that you paid for with a loan belongs to the bank as collateral. That portion is outside of your equity. As you pay down your home, your home equity will slowly increase over time until the home is completely yours. To calculate your home equity, you should take your home’s value and subtract the amount that you owe on your mortgages. If your home’s value increases over time, your long term equity will increase as well. Should you use this loan to purchase your next house? Before we examine this, you need to ask yourself whether or not the equity in your current home is substantial enough to use a down payment. If not, keep building your equity by making your monthly mortgage payments. If so, then it might not be a bad idea to use a home equity loan as this is a long term investment. Home equity loans often have fewer closing costs and fees that would normally be associated with taking out a whole new mortgage. As long as your credit is in good standing, you’re financially secure, and you have enough home equity, you can put that down payment on your second home! This entry was posted on Friday, December 9th, 2016	at 9:07 pm	and is filed under Buying a home . You can follow any responses to this entry through the RSS 2.0 feed. Both comments and pings are currently closed.